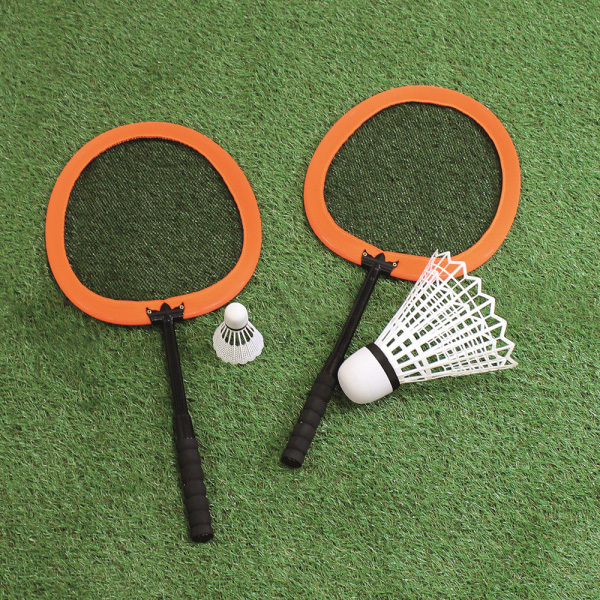 Children badminton set featuring two oversized rackets for easy play one large and one small shuttlecocks. Rackets are made from strong and durable plastic with mesh head and soft grip EVA foam handles. Racket size: L63cm x W28cm.